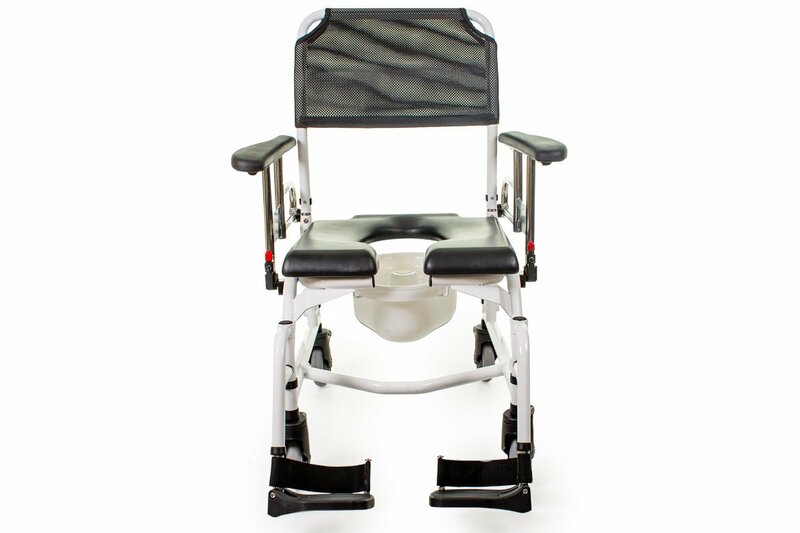 Commode Shower Wheelchair NT | Future Mobility Healthcare Inc. 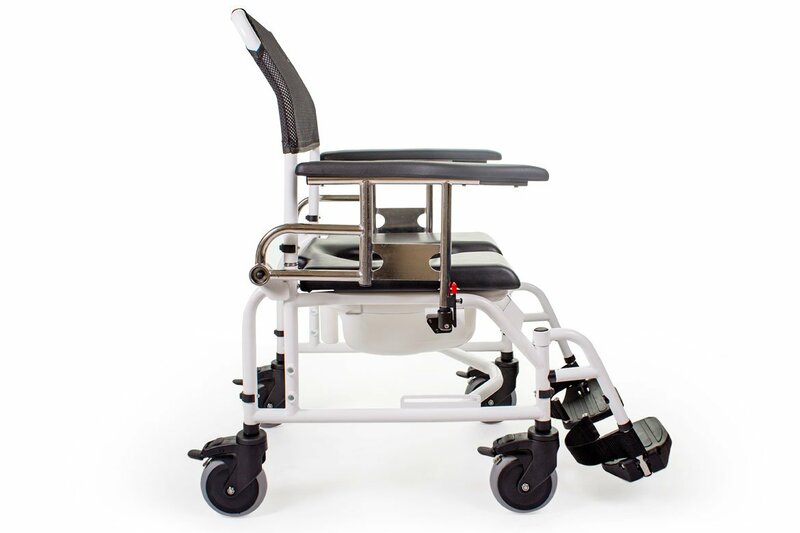 The Aqua NT light weight commode is a highly durable 250lb capacity commode that offer consumers the comfort and stability they need. 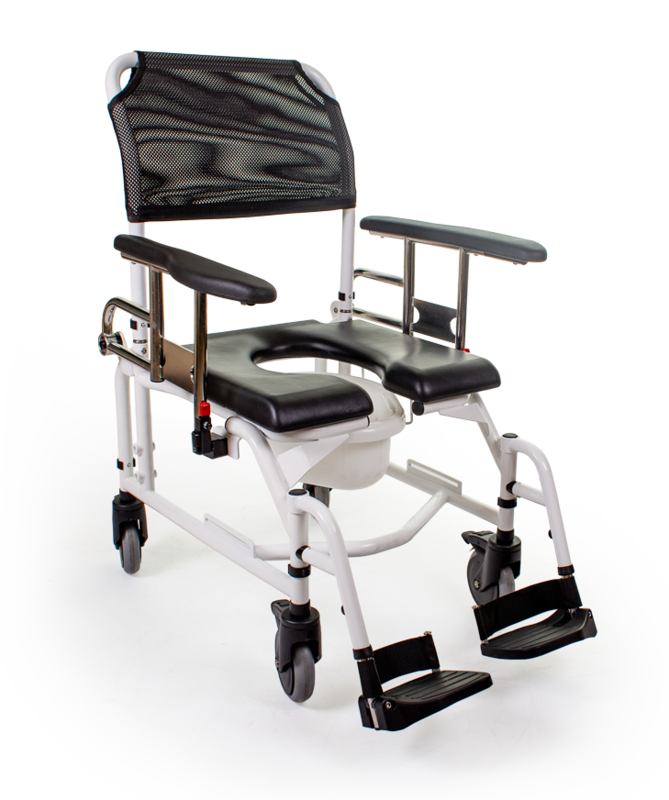 Designed and manufactured in Canada with the highest standards of quality. 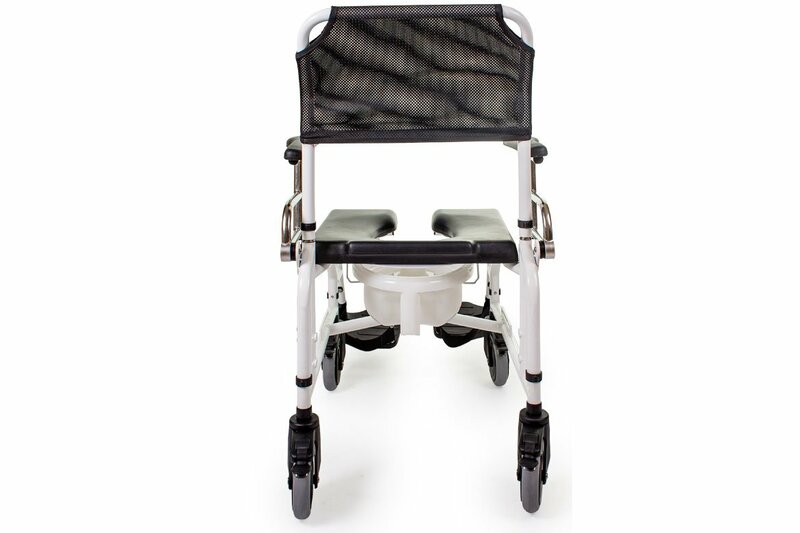 This commode is offered with a standard seating cushion for comfort, and a removable rear wheel and bolt cover. The rear wheel has both Self or attendant-propelled options. Black clips can be removed and placed in adjacent holes to change the unit’s back height. 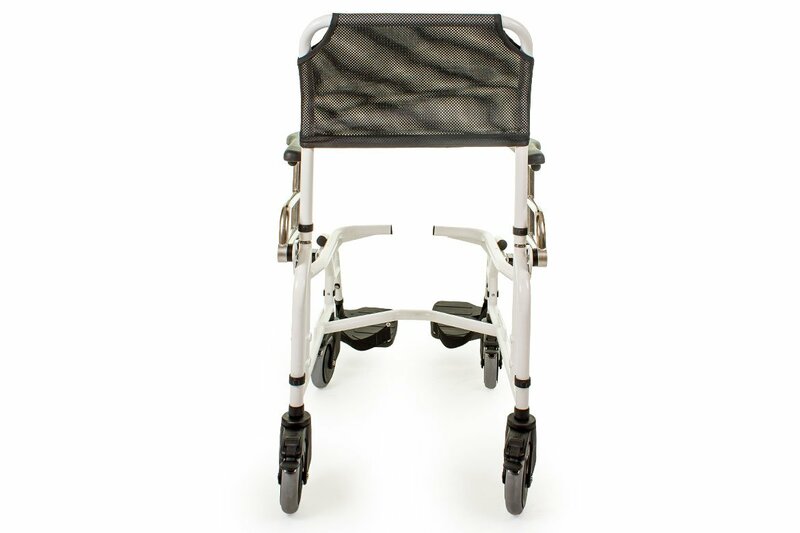 Contoured seating cushion built for comfort and durability that is available with either an open or bridged front. 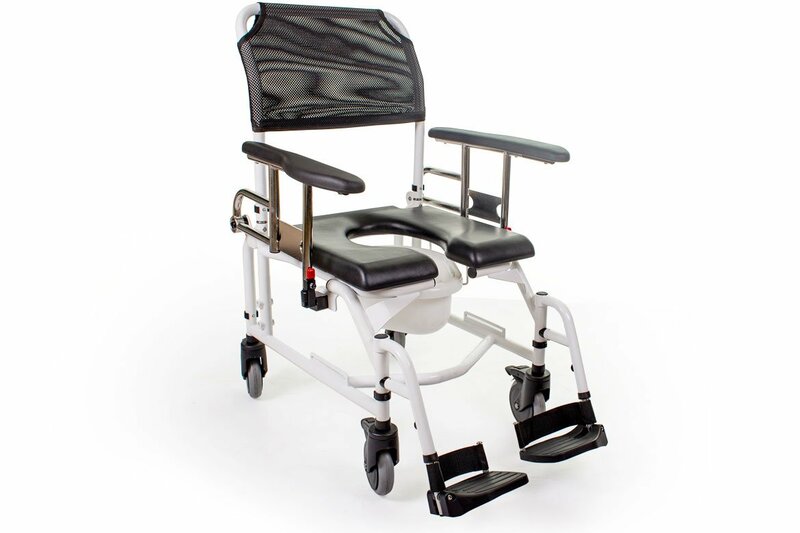 Adjustable stems allow for seat to floor range. 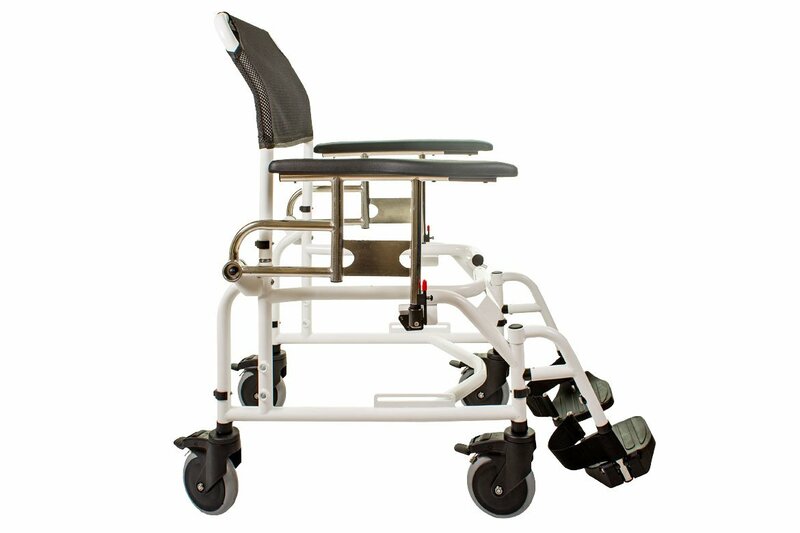 Includes: Removable seat and potty, Removable cantilever, fixed height arm rest, incredibly low 16-1/4” seat to floor height. 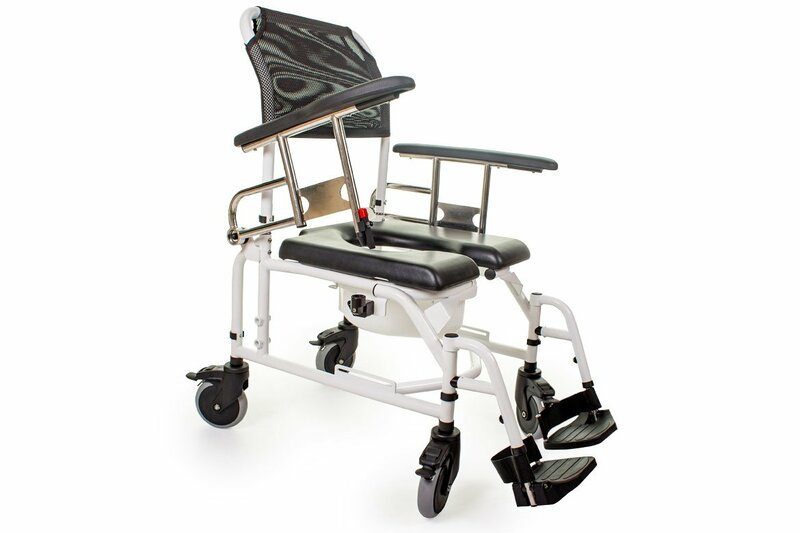 Quick release clip-on casters for adjustment of seat to floor heights. 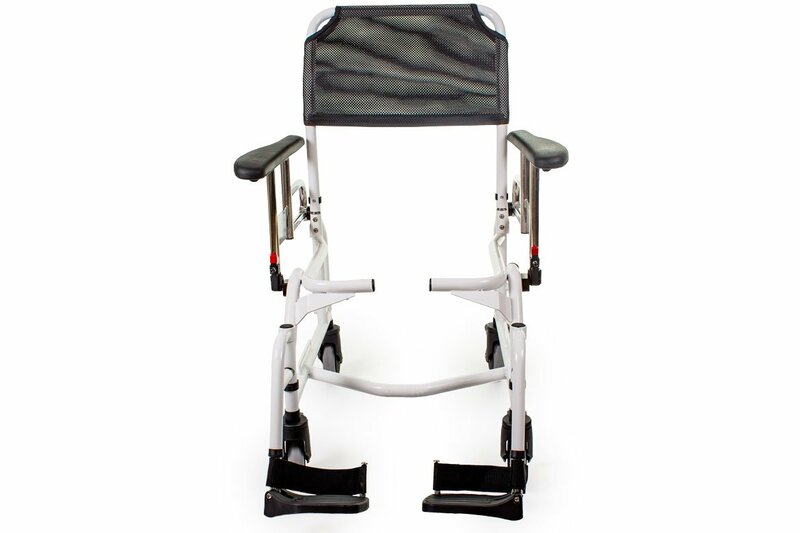 Height adjustable back frame 50°- or 70°-degree swing-away front riggings (optional). 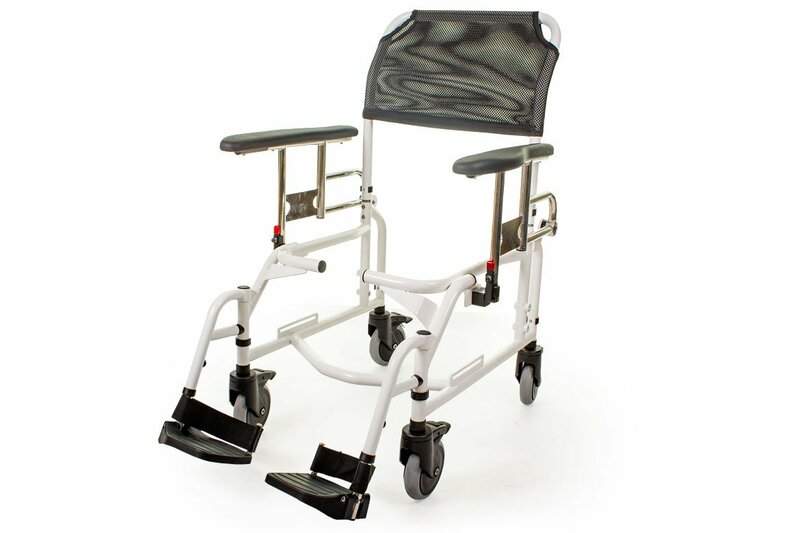 Removable rear wheels with stainless steel or plastic hand-rims (self propelled only). Composite foot plates, Heel loops.